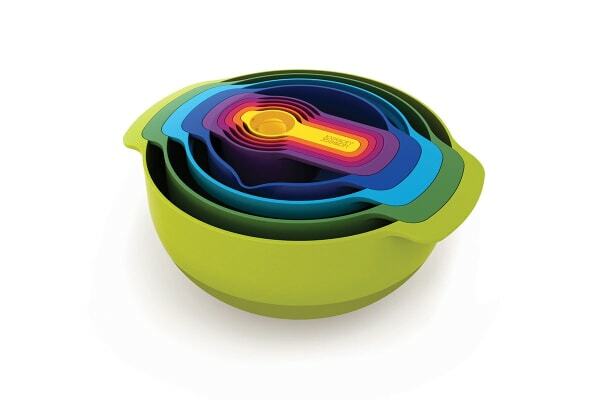 This innovative set is the ultimate in practical, space-saving kitchenware. Multi-coloured set adds a touch of fun your kitchen! 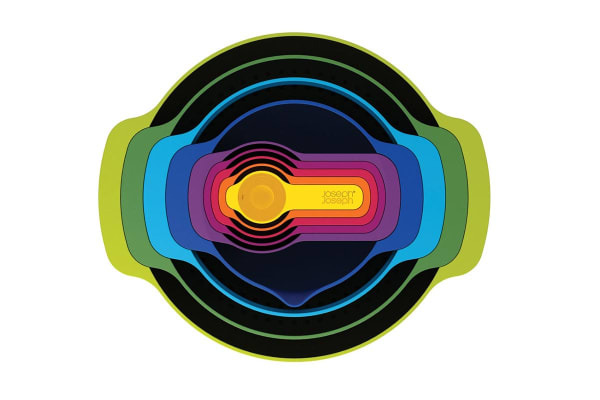 The Joseph Joseph Nest Set 9 Plus (Multi Colour) lets you save up on precious cupboard space! 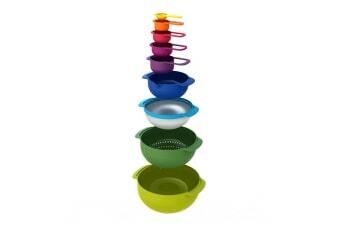 The mixing bowls all snap neatly together when not in use, meaning that the set stays well-organised and easy to store. Its non-slip base and wide carry handles make it easy to mix up your ingredients without slipping. An additional spoon in the centre means that measurements from 1 teaspoon up to 1 cup can be made. It also comes with a stainless-steel mesh sieve and a large colander to complete the collection.